Customer acquisition through word-of-mouth referral campaigns has always been a winning strategy for subscription businesses. Chargebee now makes it easier for you to launch your own referral marketing programs that can help you build an army of advocates, with appropriate fraud detection and validation. Engage and incentivize your advocates and earn valuable leads, with Chargebee’s integration with ReferralCandy. Add a touch of you, in your referral campaigns. Build and customize your personalized referral campaign. Customize the look and functionality aligned with your brand, with personalized URLs, editable widgets that can be displayed as designed on the Hosted Thank You Page, and compatible across all devices. Send automatic email reminders in your own style to advocates to participate in the campaign. Tracking referrals and following up on payouts can be an arduous task. 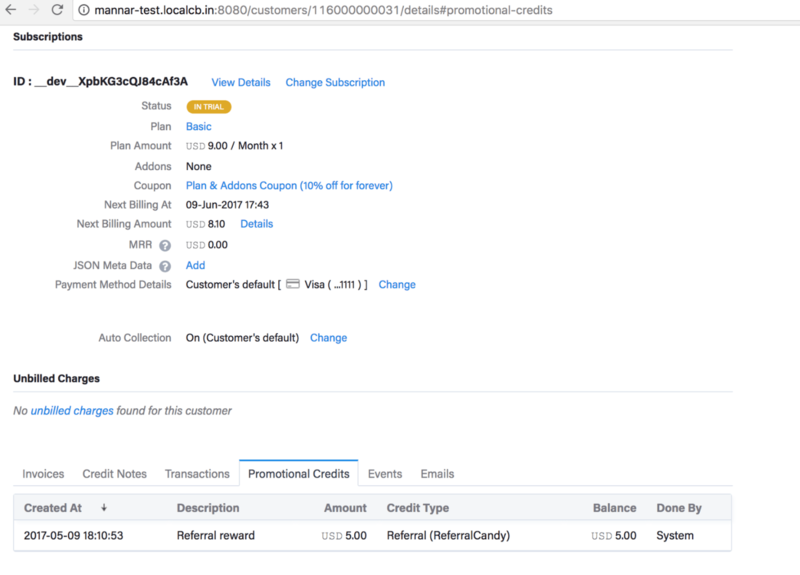 Simplify payouts of account credits with the integration. What pricing plan does the ReferralCandy Integration with Chargebee fall under? How does the data flow between Chargebee and ReferralCandy? How are the referrals tracked? The Chargebee+ReferralCandy referral integration is available on our Rise plan ($299) onwards. A customer signs up and views the sharing details. Chargebee will show the share widget automatically in the hosted thank you page. Customer shares the referral URL with a friend(s). When the friend signs up with the Referral URL and receives a discount. On successful purchase, the referrer will receive the reward credits added to their Account (as account credits). It is worth noting that while referral URLs can be shared, referral codes cannot be shared between friends. 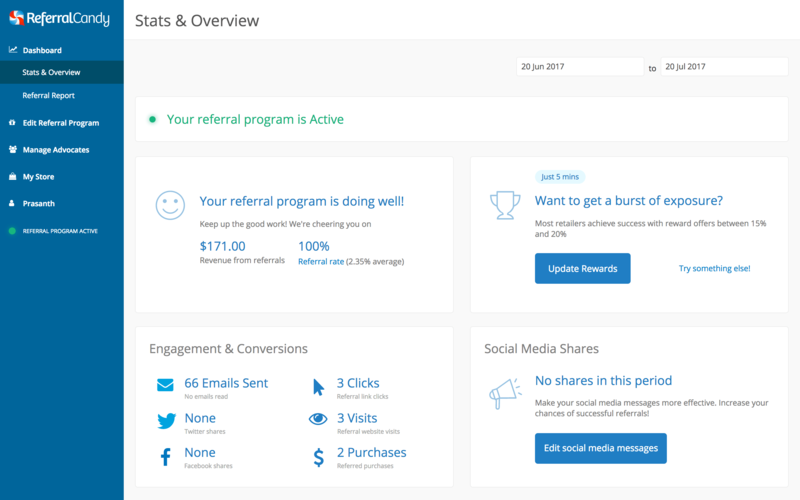 You can login to ReferralCandy and refer to the Referral Conversion report.